Laura Mvula’s second studio album, The Dreaming Room, dropped yesterday, and you must have it. Go get it. Trust. It’s been months. I know. And I can’t even spend too much time writing this right now. But I wanted to do a quick round-up of things I’ve been writing and doing lately, in advance of what I hope I’ll have time to write soon: a longer reflective piece. 1. I’ve still been writing. I guess the most notable recent pieces would be the one about the Lifetime series UnREAL at Cosmopolitan.com and the one about Chance the Rapper and co-parenting at The Washington Post (where I write every week still). 2. Black Girls Talking invited me to a Writer’s Roundtable episode of their show, to discuss the ups and downs of cultivating a career in writing. 3. 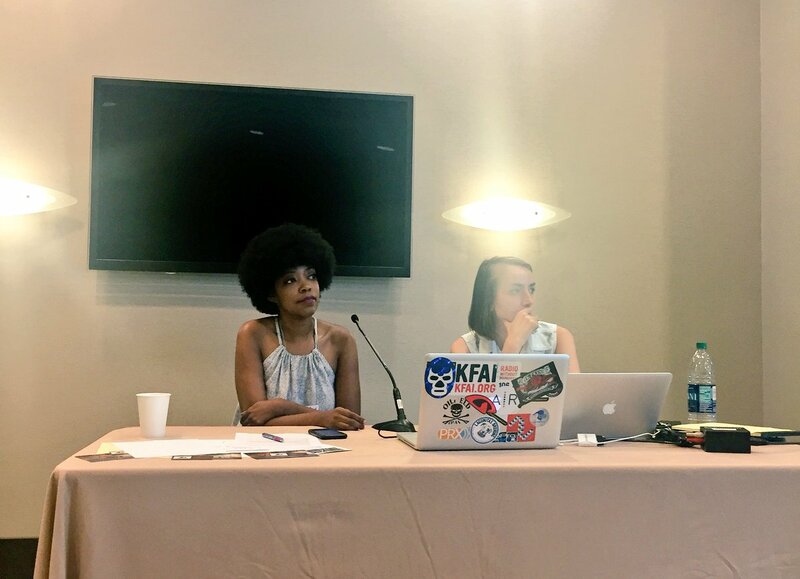 I attended the National Federation of Community Broadcasters Conference in Denver last week, where I gave a two-hour presentation with my coworker Ali and also participated in a panel. Both gave me rich opportunities to share Baltimore: The Rise of Charm City‘s work and to figure out how to extend its life (something I was already contemplating). NFCB felt philosophical and sort of wonky while I was here. And I left grappling with a huge question: How can we contemporize, revolutionize, and financially sustain radio at the intersection of community service and activism? 3. 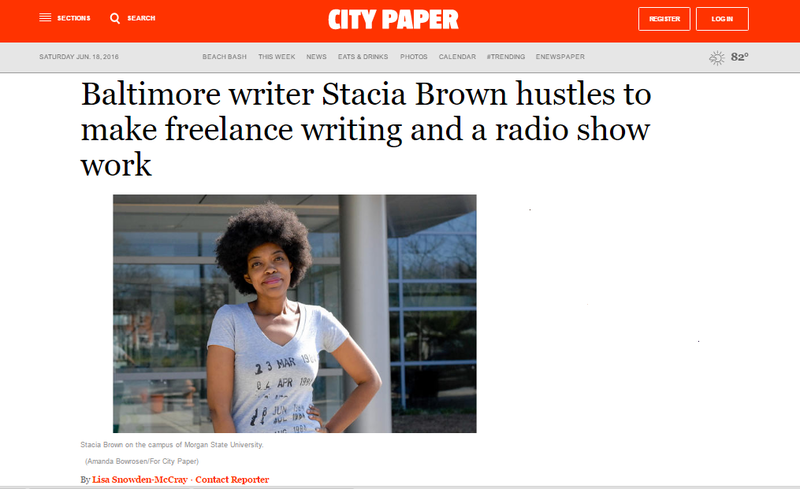 I was featured in Baltimore’s alt-weekly City Paper (but I waited too long to get a print copy, so if you live in town and happen to have one, do me a solid and screenshot it for me?). Props to the reporter, Lisa Snowden McCray, whose work you should definitely check out and whose voice you can hear in Episode 2 of Baltimore: The Rise of Charm City. 4. I just got back late last night from Werk It! 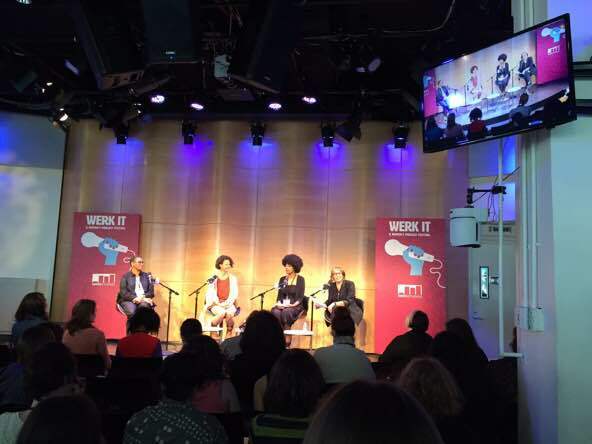 A Women’s Podcasting Festival, which was pretty glamorous — especially in comparison to the NFCB conference. I was on a panel there, too, (you can listen here, beginning around the 31:00 mark. I only spoke twice, I think, and one of those times was pre-empted by a fire alarm system drill, and I definitely dropped my notecards in the fray, so if you’re into that kind of thing — or into great, insightful discussions about women in radio and innovation, give it a whirl…). There are powerful women quietly producing incredible audio work everywhere, every day, and it’s astounding that that isn’t more widely known, reported, and celebrated. Props to Werk It! for fighting that fight and looking fly while doing it.